Revolving like turds in a toilet in a never-ending flush, derelict satellites continue to swirl around the earth in graveyard orbits. Standford and the ESA want to use AI to collect them. Stanford University, together with the European Space Agency (ESA), are challenging AI programmers to develop a type of “tow truck” to collect derelict satellites that are seen as space junk circling in graveyard orbits. ESA’s Advanced Concepts Team (ACT) has teamed up with Stanford University’s Space Rendezvous Laboratory for its latest competition to harness machine learning for space-related goals. According to Stanford News, there are inactive satellites that are “too high to burn up in the atmosphere, yet too slow to escape Earth’s gravity,” so they continue to ride on a never-ending merry-go-round in space. The topic of the competition is satellite “pose estimation”: identifying the relative position and pointing direction (known as attitude) of a target satellite from single snapshots of it moving through space. Based on results from an experimental two-satellite mission in 2010 to test formation-flying and rendezvous techniques called PRISMA, the joint AI challenge will “supply teams with around 15,000 synthetic images plus another 1,000 actual images,” according to Dario Izzo of ESA’s Advanced Concepts Team, overseeing the competition. “Some 80% of them [images] will come with pose data included, which can be used for machine learning. The aim of the competition is to estimate the satellite pose as accurately as possible, and submissions will be evaluated on the other 20% for which pose data is not released,” he added. In order to spot derelict satellites, “the repair vehicle would rely on cameras that take simple gray-scale images, just 500-by-500 pixels, to reduce data storage and processing demand. Barebones processors and AI algorithms that come out of the competition would be integrated directly into the repair satellite,” according to Stanford News. 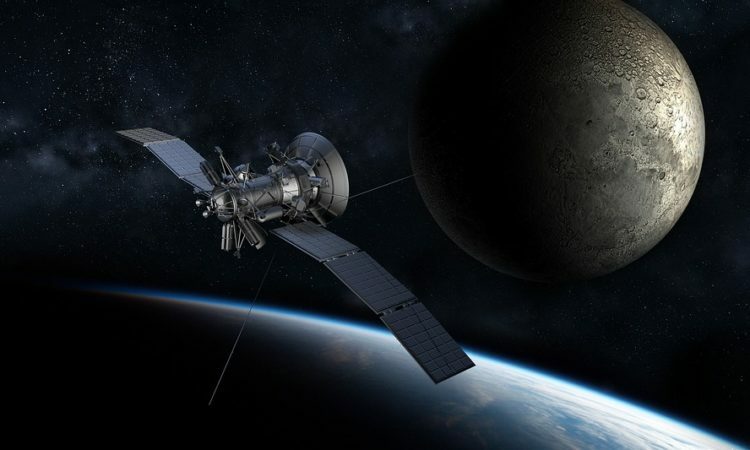 “Achieving pose estimation of uncooperative targets will play an important role in future satellite servicing, enabling refurbishment of expensive space assets,” explains Professor Simone D’Amico, the lab’s founder. Professor D’Amico has direct experience with PRISMA, having worked on its relative navigation and control systems and serving as its Principal Investigator for DLR. “The aim now is to develop rendezvous and formation flying techniques for miniaturized, autonomous satellites, which could work together as distributed systems – meaning multiple small satellites working together to accomplish objectives that would be impossible for a single monolithic satellite,” he added.